The only thing sadder than opening your lunchbox to find a soggy sandwich is opening your kid's lunchbox at the end of the day to find a completely untouched one. Thankfully, you can prevent soggy, disappointing lunchbox sandwiches by making them with frozen bread. Every single one of your instincts is probably screaming "NO!" right now, and I get it. Intuitively, frozen bread shouldn't prevent a sandwich from turning to mush between breakfast and lunch, but I promise you that it does. I'll talk about why it works in a moment, but first I want to explain how to make a sandwich with frozen bread. Unsurprisingly, it's a lot like making a regular sandwich - the cardinal rules of sandwich construction still apply - but there are four tricks to keep in mind. The best kind of sandwich to make with frozen bread is one with three or four components, tops. Simple (and kid-friendly!) combinations such as ham and Swiss with Dijon, Brie with butter and thinly sliced apples, or the classic peanut butter and jelly are your best bet. Tuna, egg and chicken salad sandwiches fare way better on frozen bread, but still get soggy after about four hours. Growing up, food writer Priya Krishna ate a peanut butter and jelly sandwich at every school lunch for eleven years, and in that time she (and her mother) refined the recipe to its ideal - such an ideal that she still eats them. 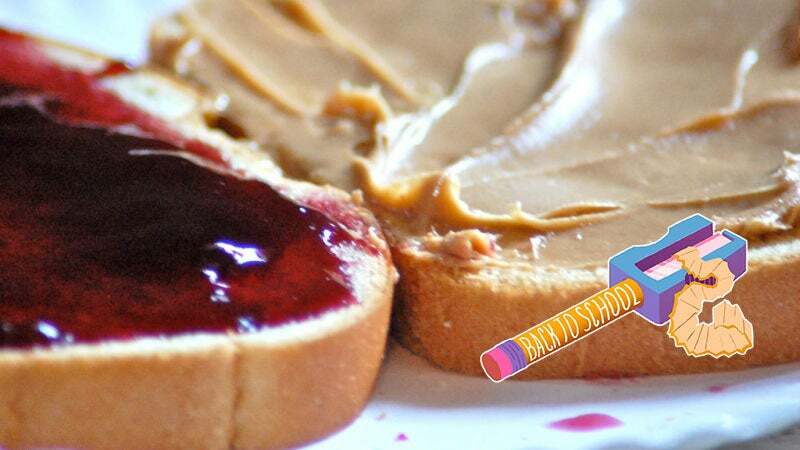 Krishna has five tips for the perfect PB&J. With very few exceptions - the muffuleta and pan bagnat come to mind - sandwiches don't improve with time. Prep as much of your lunch as you can the night before, but make the sandwich in the morning before school or work. Frozen, sliced bread thaws completely at room temperature in about 10 minutes. Since you need the bread to be completely frozen when you assemble the sandwich, gather your ingredients before you pull the bread out of the freezer, and work quickly. All too often, bread goes stale - or, worse, mouldy - before you can eat it. 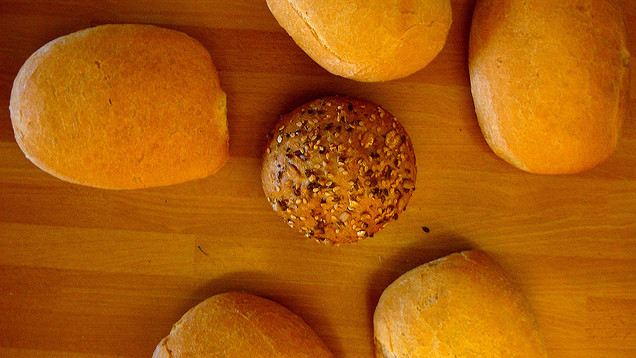 For bread that tastes fresh-baked, consider storing it in the freezer. Moisture in the air, not moisture in the bread itself, is what makes frozen bread go soggy as it thaws. It follows, then, that a plastic sandwich bag is the worst possible environment for a premade sandwich. I wrap mine twice - first in a tight layer of plastic wrap, then in a layer of foil - to minimise air exposure. Photo: A.A. Newton. 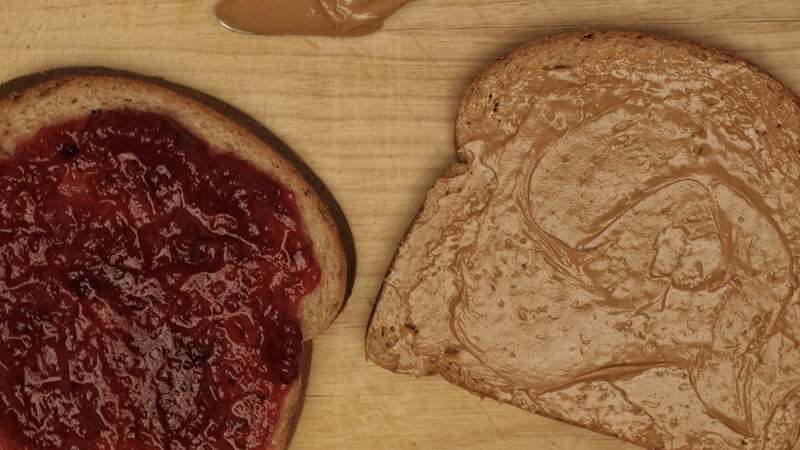 On the left, we have a PB&J made with room-temperature bread; on the right, one made with frozen bread. Both were made with the same ingredients and sat on my counter for about 10 hours. 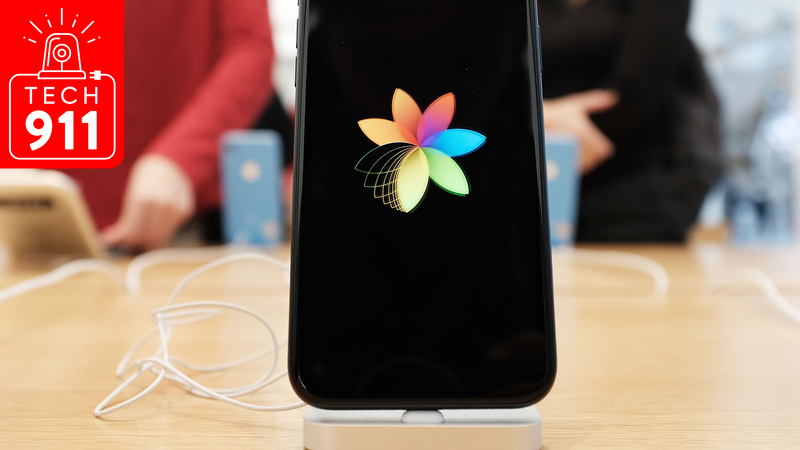 So why exactly does this work? Put simply, starting with frozen bread slows down the processes that turn a sandwich soggy; this is because the starch molecules in bread absorb water from their surroundings less readily at freezing temperatures than at warmer ones. It won't keep your sandwich fresh indefinitely, but frozen bread will buy you several precious hours in the fight against mushiness.